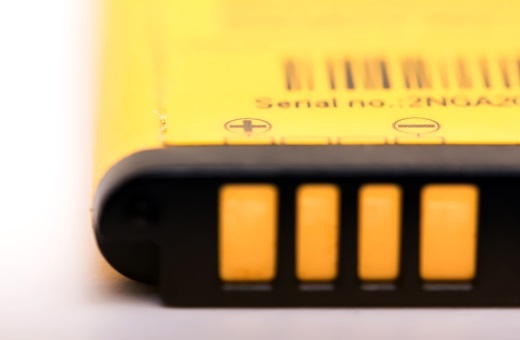 According to the Cobalt Institute, lithium-ion batteries have higher energy density than other battery types and are used in laptops, smartphones, medical devices, and electric vehicles, in addition to having a number of other industrial applications. Needless to say, the need for lithium and cobalt won’t be diminishing anytime soon. Benchmark Mineral Intelligence Managing Director Simon Moores told the US Senate in February 2019 that he sees global cobalt demand rising fourfold by 2023 and higher still by 2028. This estimate factors in the potential decrease in demand resulting from companies like Tesla seeking to reduce reliance on cobalt in their batteries in order to reduce supply-side risks. Lithium Americas (LAC) has a lithium project in Argentina and another in Nevada. They have seen increased investor interest lately and the share price has started to move higher. Someone has been buying shares of LAC as if they know something the rest of the world doesn’t. First Cobalt (FTSSF) is among the few leaders in the cobalt sector seeking to establish a North American cobalt supply chain. The company recently closed a $1.6 million private placement and the share price is showing signs of bottoming. Lithium Americas has two big projects under its belt – the Cauchari-Olaroz project in Argentina and the Thacker Pass project in Nevada. Lithium Americas owns 50% of the project with Gangfeng Lithium owning the other half. Gangfeng recently made a new investment of $160 million into the project to increase their stake to 50%. They are targeting initial production in the back half of 2020, as shown in the timeline below. Cauchari-Olaroz will have 40,000 tonnes per annum (tpa) lithium carbonate capacity. I also like the fact that management’s interests are highly aligned with shareholders. Management and directors own 12.1% of the company. The Thacker Pass project is economic, scalable, and intends to use a cutting-edge method of extracting lithium directly from claystone deposits. They are making steady progress with commissioning of the pilot plant well underway. Environmental baseline data has been collected, permit applications are advancing, and a Preliminary Feasibility Study was released back in August of 2018. The technical chart shows that the recent spike took out key resistance at the red downtrend line and did it on exceptionally-high volume. This also pushed the price through both the 100-day and 200-day moving averages. Adding to the bullish move, the recent advance pushed the price for LAC above resistance at $4.50, which held twice over the past six months. First Cobalt’s flagship asset is the Iron Creek Cobalt Project in Idaho, USA, which has Inferred mineral resources of 26.9 million tonnes grading 0.11% cobalt equivalent. The company’s other assets include 50 past-producing mines in the Canadian Cobalt Camp and the only permitted cobalt refinery in North America capable of producing battery materials. The company just announced it has successfully produced a battery grade cobalt sulfate using the First Cobalt Refinery flowsheet. This significant milestone brings the Company closer to recommissioning the only permitted primary cobalt refinery in North America. They also own 45% of the cobalt camp surrounding the mine, including 50 past producing mines. Lithium Americas is preparing to mine the largest deposit of lithium in America and just secured $160 million in funding from their JV partner Ganfeng Lithium. Both the fundamentals and technicals suggest that higher prices are in store for the lithium and cobalt sectors. This may not be the most popular time to buy, but contrarian investors know that the precise time to buy is when others are selling and there is blood in the streets. Prices for lithium, cobalt and the companies that mine these metals, look very oversold and undervalued in our view.